MTV recently announced that Nicki Minaj is slated to perform at the 2012 Video Music Awards, which airs live on September 6th. Lil Wayne, 2Chainz, and A$AP Rocky are now slated to perform as well. It is rumored that Nicki Minaj will be performing with 2Chainz, while Lil Wayne will be performing “No Worries” from his new Dedication 4 mixtape and A$AP Rocky will be performing the “Cockiness” remix with Rihanna. MTV recently caught up with Eve. During their discussion, Eve explains why she feels there is a lack of unity among femme MCs and what can be done to change that. Watch the interview here. 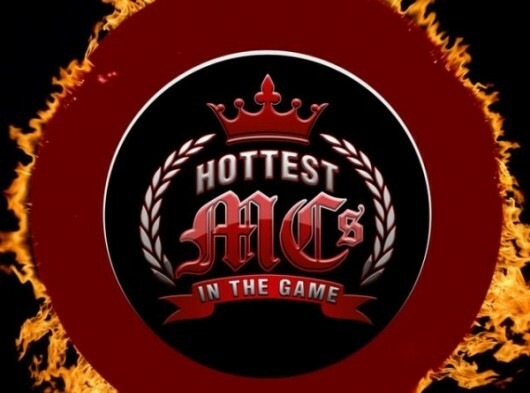 Well, it looks like Nicki has been making some major moves, according to MTV’s “RapFix.” They have listed Nicki as the #4 Hottest MC in the Game in 2012. While many have expressed disbelief over the artists featured on this list, it has definitely garnered a tremendous amount of attention. The list was provided a couple of weeks back; click here if you haven’t already checked it out. According to MTV, Nicki meets qualifications need to be considered a Hot MC based on the following: her impact, lyrical prowess, and her ability to grab everyone’s attention. Furthermore, “Nicki Minaj doesn’t have to be Meek Mill, but at the same time she’s not Britney Spears,” said Steven Roberts, a segment producer/writer at MTV News. “I think Nicki Minaj is something special where she can be in the middle and she can be pop and hip-hop because I think hip-hop at this point is pop.” Read the entire feature here. What do you think? Is Nicki Minaj one of the Hottest MCs in the rap/hip-hop game right now? Additionally, I wish they would have included more new talent along with inclusion of more female rappers/MCs. Anyway, peep the list below. Check out MTV on February 19th at 10:30 p.m. to see their coverage of the top 5. ***The nominees are listed in alphabetical order. In a recent interview with MTV, Iggy Azalea revealed that T.I. will be the executive producer for her debut album, The New Classic. Interestingly enough, she stated that T.I. actually called her and asked her if he could executively produce her album–of course, she gladly accepted. They plan to link up in Atlanta next week to get started. Iggy’s debut album is slated to be released in June. To watch the interview in its entirety, click here to head over to MTV.